Happy 2018 travel fans and welcome back to my monthly round-up. With the new year I thought I’d introduce a slightly different format to spice things up. Each month this year I’m going to be sharing a list of things. They may be family travel experiences we’ve loved, highlights from the past few weeks, holidays we’ve read about, products we can recommend, our top travel tips or things we can’t wait to do. 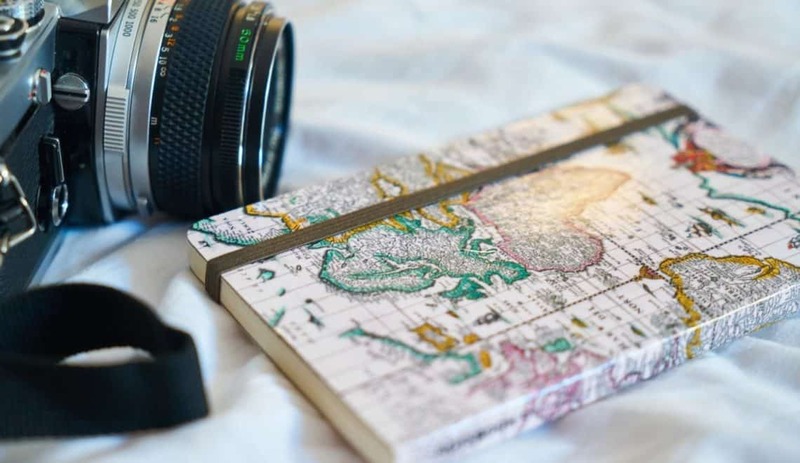 I’m hoping you’ll enjoy these bite-sized pieces of travel inspiration. Don’t be daunted by the prospect of solo travel with your kids. It can be done. Take some advice from solo travel with kids pros. The subject of solo travel is close to my heart as Mr Tin Box has started working away a lot more this month. January has been quiet on the travel front so I’m going to look back to December when we visited Dorset. The weekend before Christmas we stayed in a glamping yurt that took luxury camping up a notch. We also had the chance to visit some attractions in neighbouring Somerset and Wiltshire – two places we hadn’t explored with the girls before. It was the perfect winter weekend. My most popular blog post of the past month has been an oldie about luxury UK holidays with dogs. It’s no surprise as January is the month when everyone is booking up trips. Dog owners are obviously in need of staycation inspiration. I’ve also asked other bloggers to recommend dog-friendly places to stay and this post has proved popular too. Who could resist these faces!? Being named as one of the Trips100 top 10 travel bloggers of 2017. This is something I hadn’t expected as the ‘travel blogging’ world is huge. I feel comfortable hanging out in the family travel niche but to be considered high up in the general travel blogging crowd feels brilliant. Thanks so much for reading my blogs and putting up with my oversharing on social media. Every hit and interaction matters! I’m always looking for lovely ways to capture our travel memories so I was very excited to find this string of fairy light pegs* on Amazon. They have now taken pride of place in the girls’ bedroom and I may have bought an extra set for myself!! In February we are hitting the road to Cornwall for a weekend staying at the luxury Sands Resort in Newquay. We’re big fans of Cornwall but more often than not stay at holiday parks and in our own Tin Box. We can’t wait to test out the family-friendly facilities here. Thanks to Sands for inviting us to do the review!